All hail Lewis Hamilton, who became the 2018 champion-elect last time out in Mexico. Now the focus turns to the money – the Constructors’ Championship. It doesn’t have the glitz or glamour of the Drivers’ crown and even the most dedicated fans would be pressed to tell you who won the 1988 Constructors’ title. That was McLaren, but they will all know that was the year Ayrton Senna won his first of three World titles. However, it is arguably the one the teams most want to do well in given that it carries the prize money. The difference between first and second is about £10m with the champions taking almost 20% of the pot while P10 is just 4%. It is a prize worth fighting for and that’s exactly what Mercedes and Ferrari will be doing this Sunday at the Interlagos circuit. Mercedes lead the battle by 55 points ahead of the Scuderia with 86 still in play. That means the Silver Arrows would seal the double in Brazil by getting both cars onto the podium. 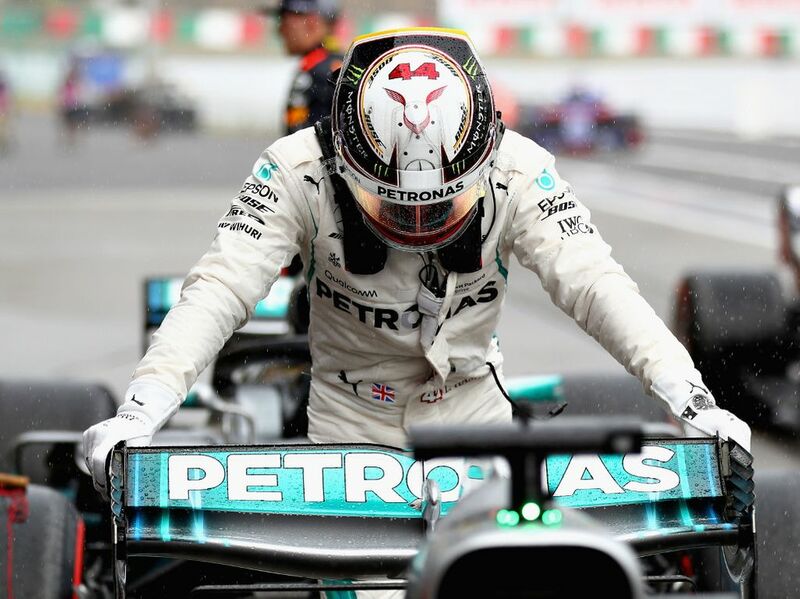 “Our target for this season was to win both championships, not one title or the other, so our mindset is one of unfinished business as we head to Sao Paulo,” said Mercedes team boss Toto Wolff. All, though, is not lost for Ferrari. 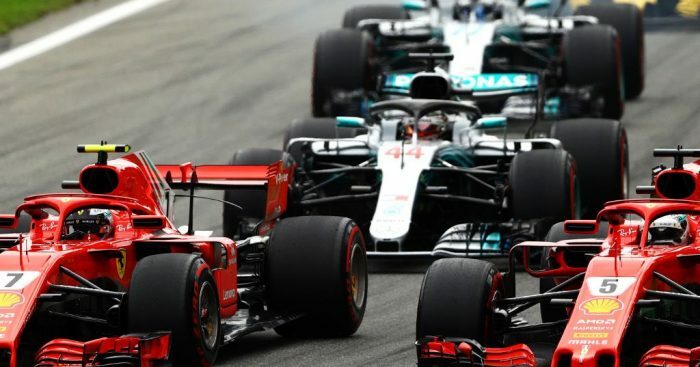 The Drivers’ title may be but if they can outscore Mercedes by at least 13 points in Sao Paulo, that race will go down the wire in Abu Dhabi. Ferrari need some good news. The Scuderia are still licking their wounds as even their double podium, and Sebastian Vettel’s P2 in Mexico, couldn’t stop Hamilton from wrapping up the Drivers’ title. The German is determined to bounce back, and hopefully redeem himself after one mistake too many cost him in this year’s title race. “We [will] try and fight Mercedes for the Constructors’ and knock them off their throne maybe to give them a taste for next year,” he said. 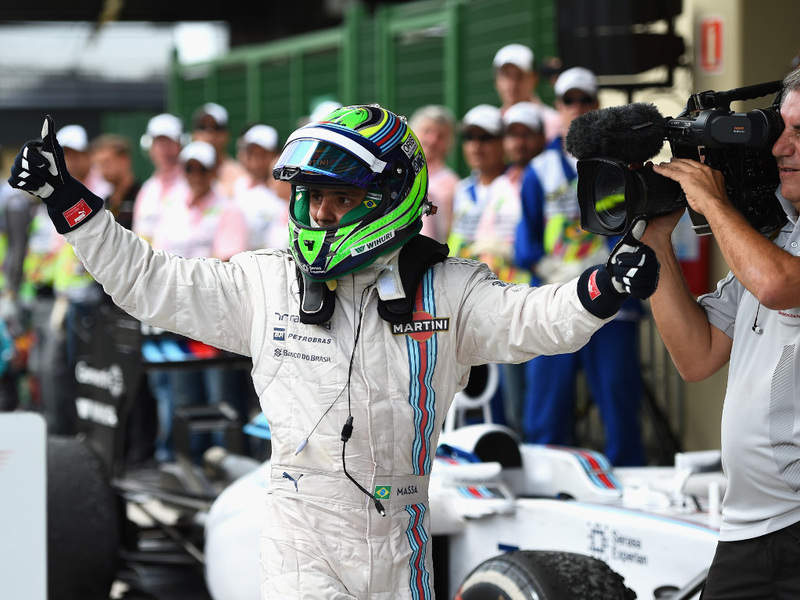 Both drivers have won at the hallowed Interlagos circuit, which for all the security issues outside the track, is rated as one of the best by most F1 drivers. Hamilton claimed his first win at Ayrton Senna’s home circuit in 2016 while Vettel triumphed in 2010, 2013 and 2017. Last season, Valtteri Bottas started from pole but lost out to Vettel at the first corner. The Finn finished P2 ahead of Kimi Raikkonen. Hamilton started from the pit lane after crashing in qualifying but raced to P4, while Romain Grosjean took out Esteban Ocon and Stoffel Vandoorne and Kevin Magnussen collided. The only other of the current crop of drivers to win the Brazilian GP was Raikkonen back in 2007. But while the Constructors’ Championship title comes with money and a trophy for P1, it is undoubtedly those behind them who are scrapping the hardest for every point, and every position on the log. Red Bull aren’t involved in that battle, set to finish this season a distant third despite adding more points to their tally with Max Verstappen’s Mexican GP win. The Renault-powered team have ruled out any chance of them being involved in the race for this Sunday’s win with Verstappen adamant the track won’t suit their RB14. Barring a massive result from Haas in the final two races of this season, Renault are on course for P4 in the standings as they hold a 30-point advantage. Force India can still catch McLaren, especially as the latter is struggling to score as the season draws to its conclusion, while Sauber are holding off Toro Rosso by three points. The last time someone outside the big three; Mercedes, Ferrari and Red Bull, stood on the Interlagos podium it was Felipe Massa in a Williams in 2014. But while the chances of a repeat performance this weekend are slim to zero, there is rain forecast for Sunday’s race with even a brief shower proving in the past that it can cause havoc with the Interlagos drainage system.